Systemic acquired resistance (SAR)—a plant-wide heightened state of defense following localized exposure to a pathogen—is characterized by increased salicylic acid (SA) and ROS levels and elevated expression of pathogenesis-related genes. 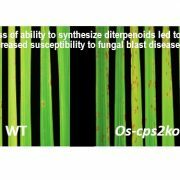 SAR depends on ENHANCED DISEASE SUSCEPTIBILITY1 (EDS1), which both generates the SAR signal at the primary infection site and perceives it in distal, uninfected tissues (Breitenbach et al., 2014). Various vascular mobile signals function within SAR, including methyl salicylate (Park et al., 2007), the non-proteogenic amino acid pipecolic acid (Návarová et al., 2012), and the dicarboxylic acid azelaic acid (Jung et al., 2009). 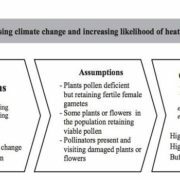 In a new study, Riedlmeier et al. (2017) examined the role of volatile organic compounds (VOCs) in SAR. Using gas chromatography/mass spectrometry, they compared the emissions released by wild-type Arabidopsis plants and SAR-deficient eds1-2 mutants several hours after induction of SAR. Whereas the wild-type plants released substantial amounts of the bicyclic monoterpenes a-pinene and b-pinene—volatiles best known for giving pine forests their enchanting scent—the mutants with compromised SAR released almost undetectable levels of these VOCs. Based on these findings, the authors hypothesized that a-pinene and b-pinene induce SAR. To test this possibility, they exposed wild-type plants to a mixture of a-pinene and b-pinene or to the VOC solvent control for 3 days and then challenged the plants with the pathogenic bacterium Pseudomonas syringae pv tomato strain DC3000 (Pst). They found that bacterial growth was ~10-fold less in the leaves of plants that had been exposed to the monoterpenes, and that the effect depended on pinene concentration. Bacterial growth was not limited in the non-expressor of PR genes1-1 (npr1-1) mutant, which has defects in signaling downstream of SA, or in the sa induction deficient2-1 (sid2-1) mutant, which has defects in SA biosynthesis, after 3 days of monoterpene exposure. Furthermore, ROS O2•¯ accumulated in the leaves of plants treated with pinenes, but not in those of control plants. 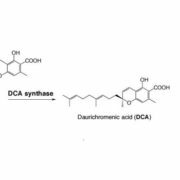 Microarray analysis showed that pinene treatment directly influenced key regulatory genes in SA biosynthesis and SAR (e.g., the gene encoding the lipid transfer protein AZELAIC ACID INDUCED1). Therefore, pinenes appear to induce SAR, in a manner that depends on SA signaling. As monoterpenes are highly volatile, the authors directly tested whether these VOCs could function as mobile plant-to-plant defense signals. 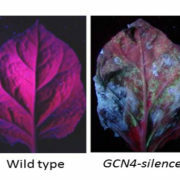 Wild-type receiver plants enclosed in a vacuum dessicator for three days with SAR-induced (i.e., monoterpene-emitting) sender plants were indeed more resistant to Pst infection than were receiver plants enclosed with control plants. Thus, in addition to functioning in SAR signaling within the plant, a-pinene and b-pinene act as airborne signals that prime neighboring plants for impending danger. This exciting finding suggests that the aroma of a pine forest has an important function. Breitenbach, H.H., Wenig, M., Wittek, F., Jordá, L., Maldonado-Alconada, A.M., Sarioglu, H., Colby, T., Knappe, C., Bichlmeier, M., Pabst, E., Mackey, D., Parker, J.E., and Vlot, A.C. (2014). Contrasting roles of apoplastic aspartyl protease AED1 and legume lectin-like protein LLP1 in Arabidopsis systemic acquired resistance. Plant Physiol. 165:791–809. Jung, H.W., Tschaplinski, T.J., Wang, L., Glazebrook, J., and Greenberg, J.T. (2009). 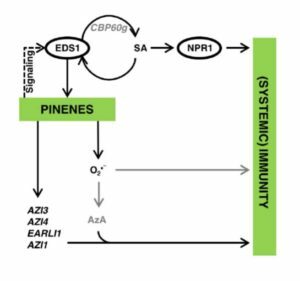 Priming in systemic plant immunity. Science 324:89–91. Návarová, H., Bernsdorff, F., Döring, A.C., and Zeier, J. (2012). 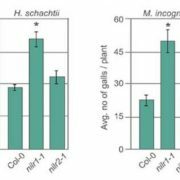 Pipecolic acid, an endogenous mediator of defense amplification and priming, is a critical regulator of inducible plant immunity. 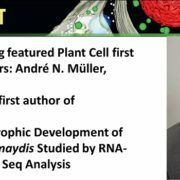 Plant Cell 24: 5123–5141. Park, S.W., Kaimoyo, E., Kumar, D., Mosher, S., and Klessig, D.F. (2007). Methyl salicylate is a critical mobile signal for plant systemic acquired resistance. Science 318:113–116. Riedlmeier, M., Ghirardo, A., Wenig, M., Knappe, C., Koch, K., Georgii, E., Dey, S., Parker, J.E., Schnitzler, J.-P., and Vlot, A.C. Monoterpenes Support Systemic Acquired Resistance Within and Between Plants. Plant Cell 10.1105/tpc.16.00898.